You go to work every day to do your job. You know the other people you work with are also doing their jobs, and you might know what generally their job description is. But do you actually know what all your coworkers do on a daily basis? In larger facilities with various departments, it can be difficult to fully grasp the day-to-day responsibilities of other positions. But, when it comes to company decision-makers, understanding what certain departments do is critical to make the right decisions. If you’re a facility manager or executive director, then you’re most likely responsible for some decisions about your maintenance department. For that reason, it’s important that you have a clear understanding of what your maintenance technicians do each day. That way you can make decisions that will not only benefit them, but will help your entire facility to be more efficient (with a better ROI). So, What Does a Maintenance Technician Do? You know that your maintenance department does maintenance. That much is obvious. You probably even know what kinds of maintenance (plumbing, construction, machinery, etc.) they are able to do. But do you know what they do on daily basis? Well, they fix things, you might be thinking. But, maintenance technicians do a lot more than just “fix things.” Here are just a few of the more critical aspects of a technician’s job. When it comes to “fixing things” your technicians have a lot of organizing and planning to do. They have to keep track of all the work orders and requests they receive from other team members as well as the issues they have found themselves. They must prioritize these requests, respond to them, pass them to the appropriate person, update them, and a lot more. In addition to repairing equipment and assets, maintenance technicians typically follow a daily schedule of inspections and checks to make sure assets, in particular things like fire alarms and emergency exits, are in working order at all times. This is called preventative maintenance, and it’s a critical task if you want to maintain a facility that is compliant with local or national standards such as the Life Safety Code in the senior care industry. Preventative Maintenance Management is also critical if you want to maximize your facility’s maintenance ROI. A facility where technicians are only performing reactive maintenance isn’t going to see a lot of efficiency, and the maintenance team usually knows that they must make time to perform regular preventative maintenance. 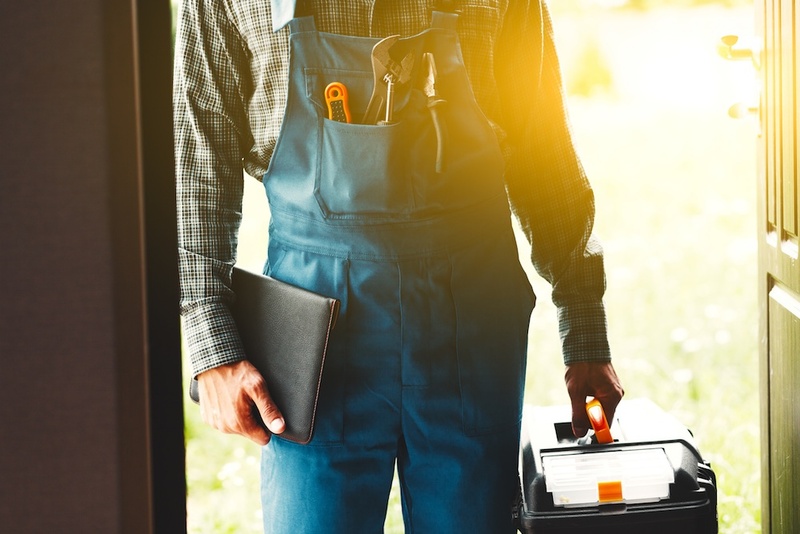 Remember all of the above-mentioned tasks are often performed by maintenance while they are “on the go.” Maintenance technicians don’t often spend time in an office (in fact, they often don’t even have an office). Instead, they spend their day moving all around the facility conducting repairs, preventative maintenance, and reports. This can make staying organized and on top of things difficult. If your technicians are doing everything with pen and paper it’s easy for something to get lost or misplaced, plus it’s difficult for them to accept or create a new work order when their out and about around the facility. If they’re using a spreadsheet or email, it can be more organized, but spreadsheets can be difficult to use –especially for technicians that aren’t the most technologically savvy – and their not easily accessed remotely or on mobile. Emails can also be accidentally deleted, lost in an overcrowded inbox, read and then forgotten, and more. There is one solution that can help your maintenance technicians stay on top of everything they need to do from one easy-to-use platform: a Computerized Maintenance Management System (CMMS). How Does CMMS Help Maintenance Technicians? When it comes to Work Orders, CMMS makes it easy to organize and manage all maintenance tasks. The work order management system allows users to submit, assign, track, update, and add information to each work orders plus a lot more all in one place. Preventative Maintenance software is also a big part of CMMS. It ensures all of the essential preventative maintenance tasks aren’t forgotten or brushed aside because they appear on the work order schedule with every other task. You simply schedule the task and set a reoccurring time period and then the work order is sent out automatically when it is due. As far as equipment and asset tracking, technicians will have one place to go for all the information and reporting they need. A CMMS even gives them an idea of when a replacement may be necessary based on repair history, downtime, and failure. Not to mention all manuals and receipts can be accessed from within the Cloud storage. One of the best parts? All of these things can be done from the CMMS mobile app. The user-friendly app means technicians won’t have to worry about carrying pen and paper with them wherever they go, or trying to remember everything that was written on a spreadsheet when they start a work order. A maintenance worker wears many hats and so does the department head. CMMS is a tool that makes it easier to handle. If you’re interested in seeing how maintenance management software can help your technicians and bring ROI benefits to your entire facility, request a free, live, demo today.